The Angry Birds are celebrating Easter! To commemorate the reason, the popular game is treating its fans to another update for Angry Birds Seasons. 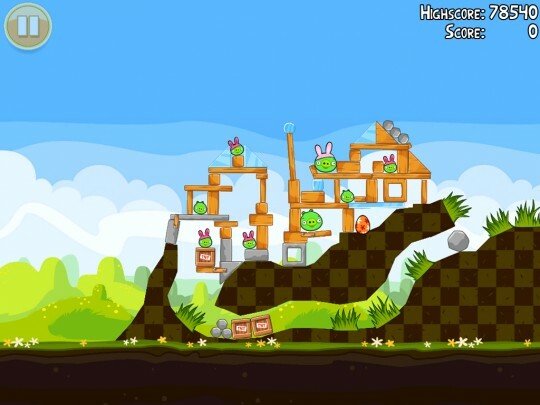 The Easter-themed, 1.4.0 version of the games comes with 15 news levels filled with chocolate eggs, bunny-hat clad pigs and birds angrier than ever. Rovio, maker of the addicting mobile game, also previously released special holiday versions of the game for Christmas, Valentine’s Day and St. Patrick’s day. Angry Birds Seasons can be downloaded from the app store for 99 cents and $1.99,for the iPhone and iPad versions, respectively.